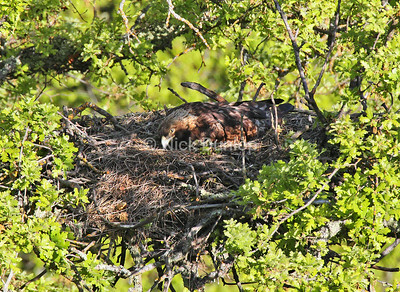 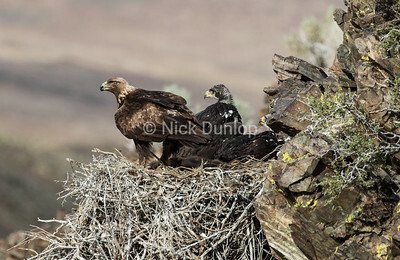 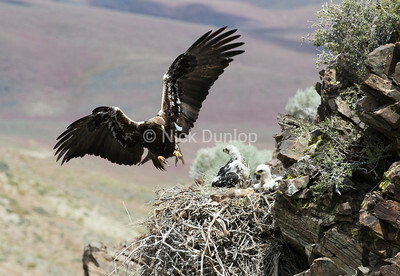 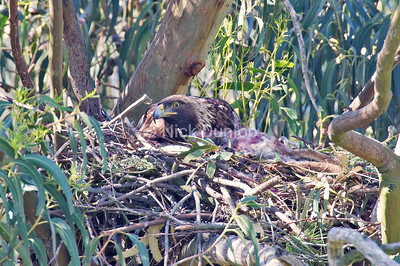 Momma eagle would hear the camera shutter fire as she left the nest and often gave a quick look. 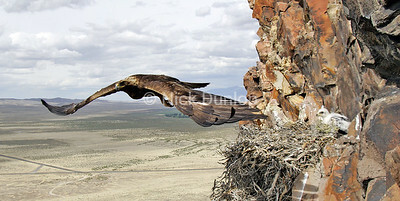 I took this image from below using a remote camera. 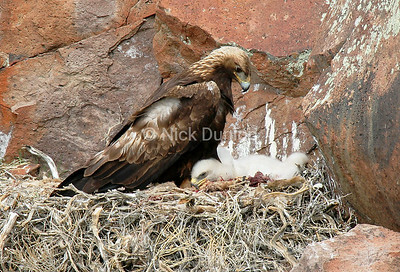 I often find eagles nesting in caves which provide shade to the young. 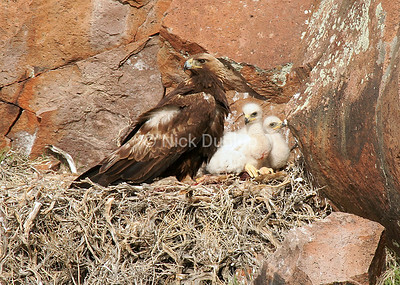 A proud mother. 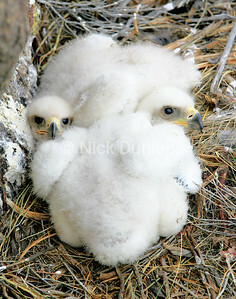 Female goldens stay in the nest with their young most of the time when they are small. 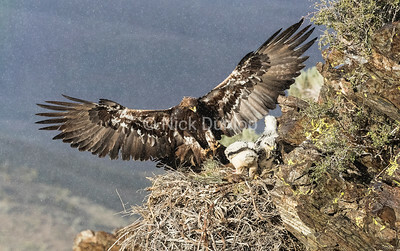 Nearly fledged and ready to go. 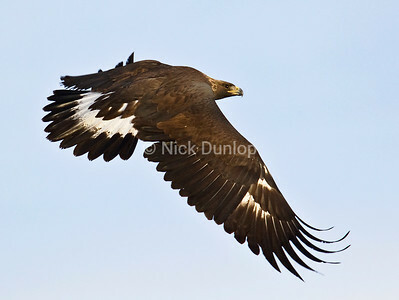 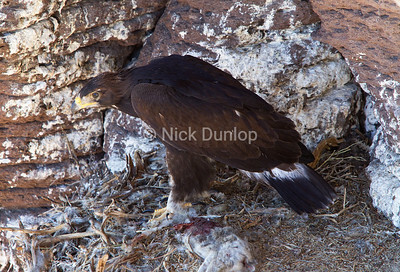 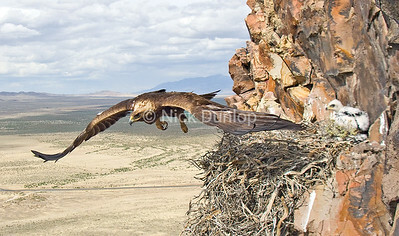 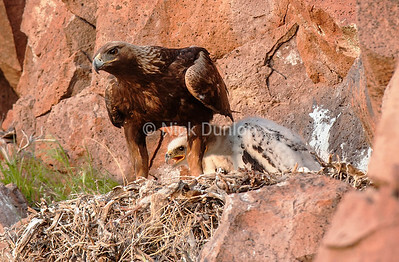 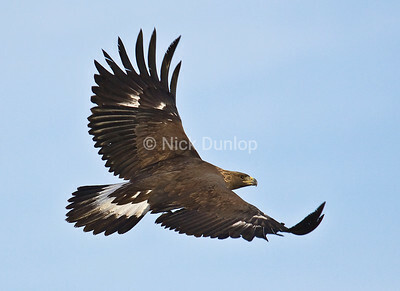 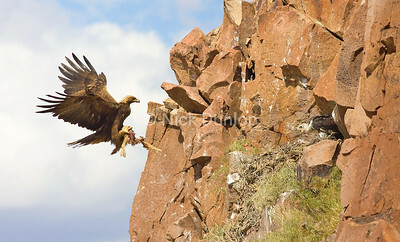 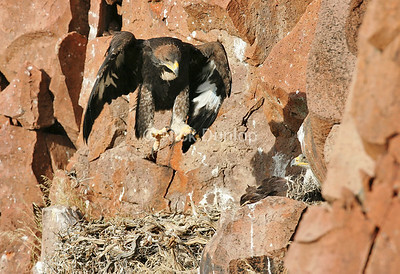 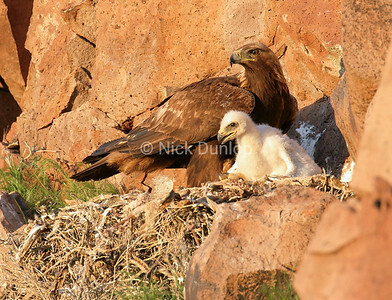 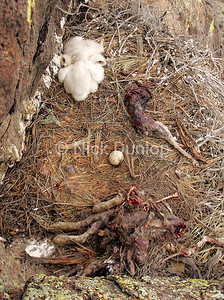 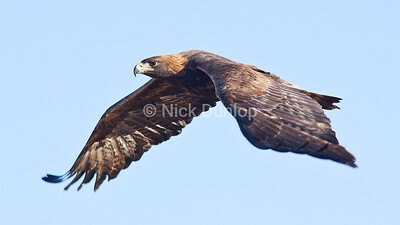 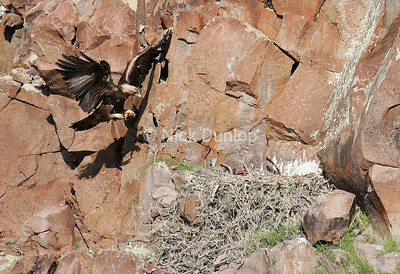 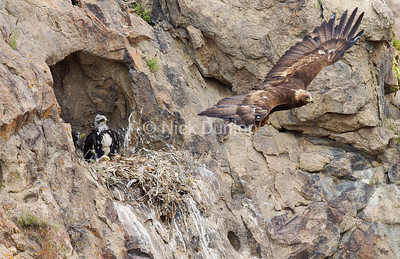 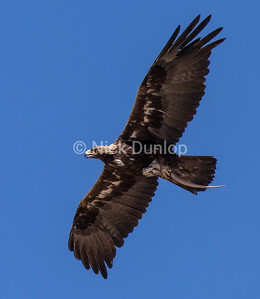 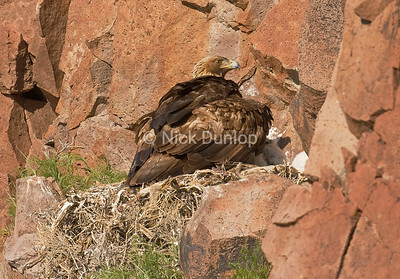 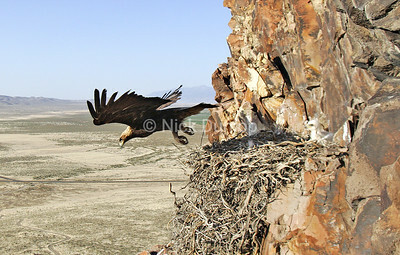 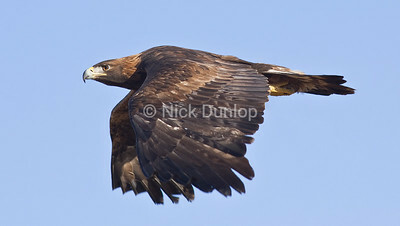 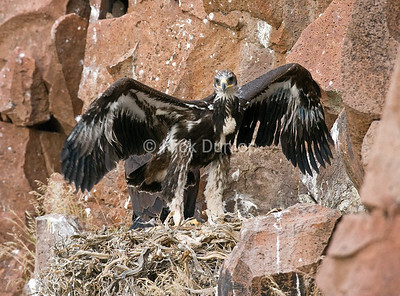 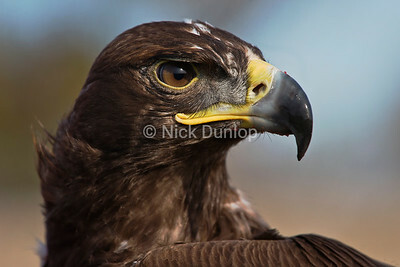 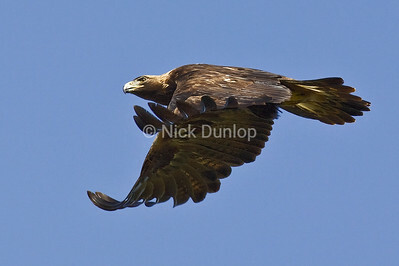 Cave nesting eagle 3.... 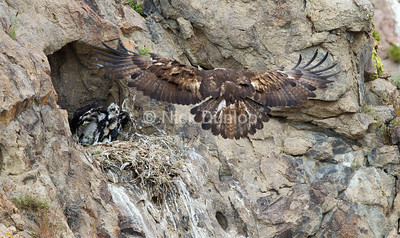 Mom coming in. 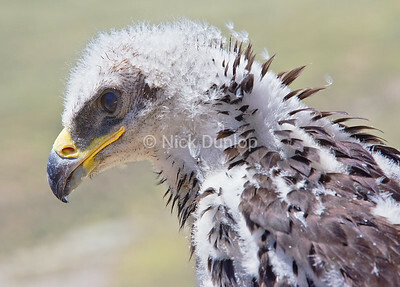 Note the molting feathers. 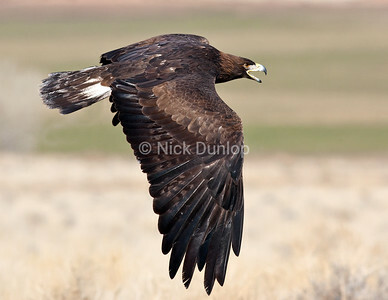 This mother eagle has white shoulders and some white feathers underneath. 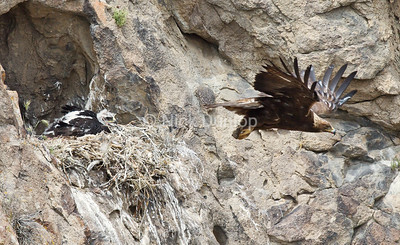 She is very unique. 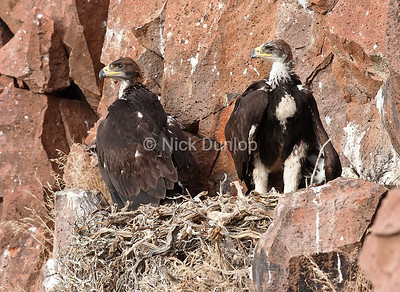 2015 Painted Canyon Eagle Family. 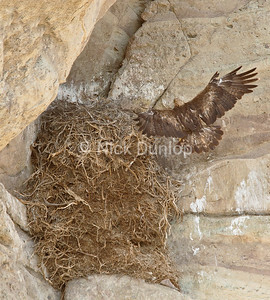 They are using the same nest in 2017.